Soompi published another translated article about Switch. 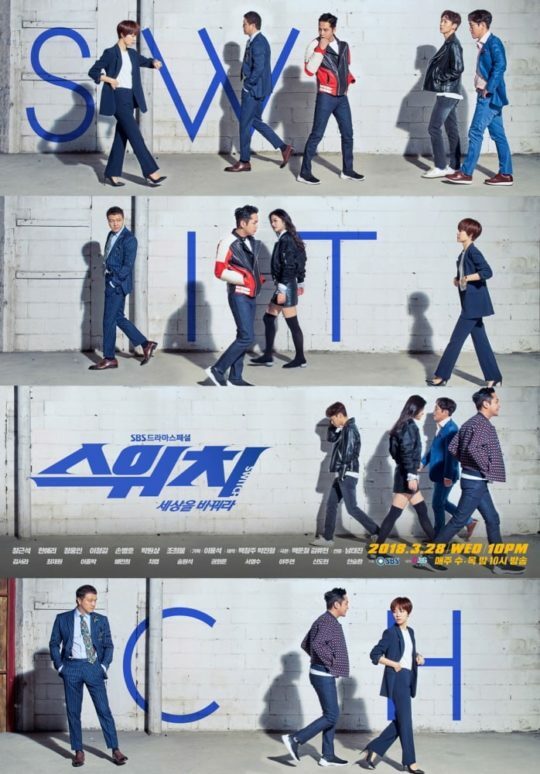 This time, the Soompi crew translated the Korean article on the new posters. Please read on and be prepared to delight in these characters. Just ahead of its premiere, SBS drama “Switch” has dropped two new posters of its cast. 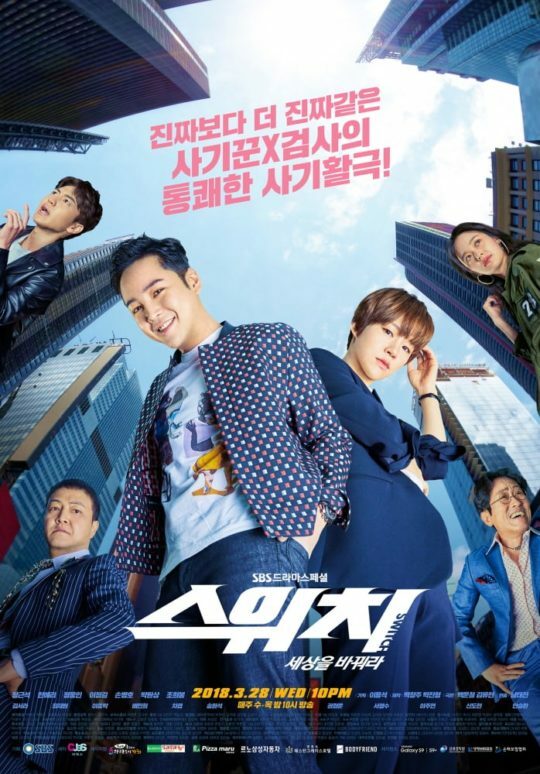 The dynamic legal drama stars Jang Geun Suk, Han Ye Ri, Jung Woong In, Jo Hee Bong, Shin Do Hyun, and Ahn Seung Hwan. The story is about a conman who stumbles into becoming a prosecutor and uses his unique set of skills to catch criminals. Jang Geun Suk plays the conman, Sa Do Chan, who was brilliant enough to be a prosecutor but for unexplained reasons became a conman instead. Han Ye Ri plays the independent and passionate prosecutor Oh Ha Ra, while Jung Woong In plays the villain, an art gallery owner named Geum Tae Woong. Jo Hee Bong plays the decoy man Bong Gam Dok, who is skilled at makeup and the art of disguise, and Shin Do Hyun plays a nurse-turned-professional-fraud-actor who is loyal to Sa Do Chan’s every word. Ahn Seung Hwan rounds out the cast with his role as Jeon In Tae, the cynical and antisocial computer hacker. The new posters hint at the unconventionality of the show, not quite fitting into the tropes of the legal drama genre. One of the posters also give a clue into the tangled relationships with the characters as they walk down a city street in various combinations.